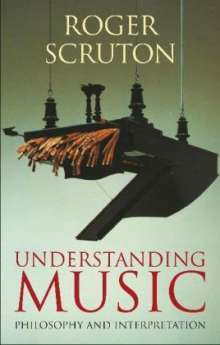 Der Artikel Roger Scruton: Understanding Music: Philosophy and Interpretation wurde in den Warenkorb gelegt. Following his celebrated book The Aesthetics of Music, Scruton explores the fundamental elements that constitute a great piece of music. This book examines the intriguing interaction between the spiritual and the political whilst reconstructs the awe-inspiring city in its heyday of 1200. Roger Scruton is research Professor at the Institute for the Psychological Sciences based in Arlington, Virginia. His previous academic affiliations have been Professor of Aesthetics at Birkbeck College, London, and subsequently Professor of Philosophy and University Professor at Boston University.